Changed my oil last week, here's the leak, definitely coming from the back of the engine. Dropped it off at the dealer today and met with the mechanic who's going to do the repair. 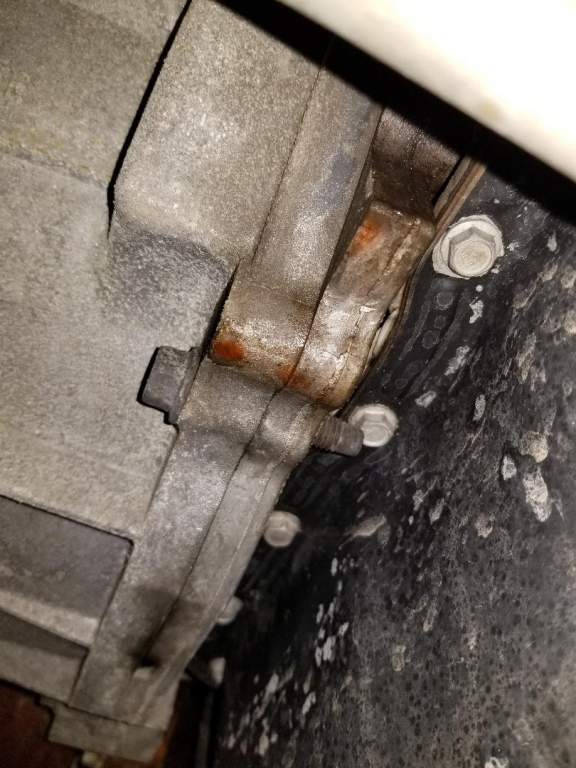 He's a 30 year vet and told me he has seen it before but it's not common, said there's a plate on the back of the engine and that sometimes the gasket between the plate and the engine goes bad. I'll post again when I get it back. Last edited by jerkyboy; 02-18-2019 at 09:53 PM. Last edited by Rvn4me; 02-19-2019 at 11:21 AM. 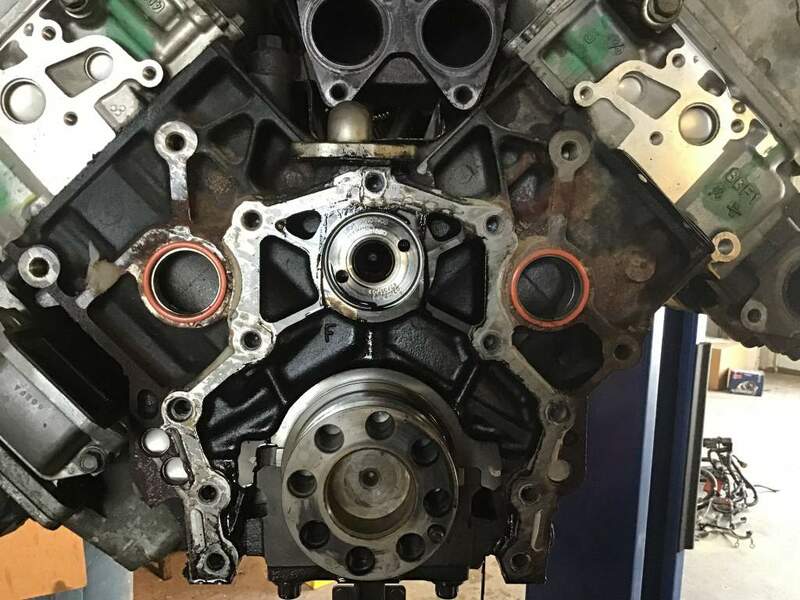 I believe there is a plate below the heads, upper block area with a coolant passage in it. Maybe it allows cross flow of coolant from left bank of cylinders to right bank. Three weeks at the dealer...still waiting for parts, does this make sense? I'll call again tomorrow, hopefully will get some good news, extremely frustrating!! Three weeks at the dealer...still waiting for parts, does this make sense? Some dealers just have a hard time acquiring parts. I pick up my own parts at cost from three different distribution centers in MI. so It’s only 4 hr round trip from home. If I don’t want to drive it’s usually same day if ordered by noon or it’s next day. Never had to wait more than one day for a part. Just curious what the Part numbers there having trouble getting. Last edited by Rvn4me; 03-10-2019 at 04:31 PM. No idea, will post the invoice when I get it back. Here's a picture of a LLY that I replaced in a 4500. Had to swap the rear engine adapter from the pickup version to the 4500. You can see the crossover ports that run through the rear adapter cover. They have the orange o-rings in them. 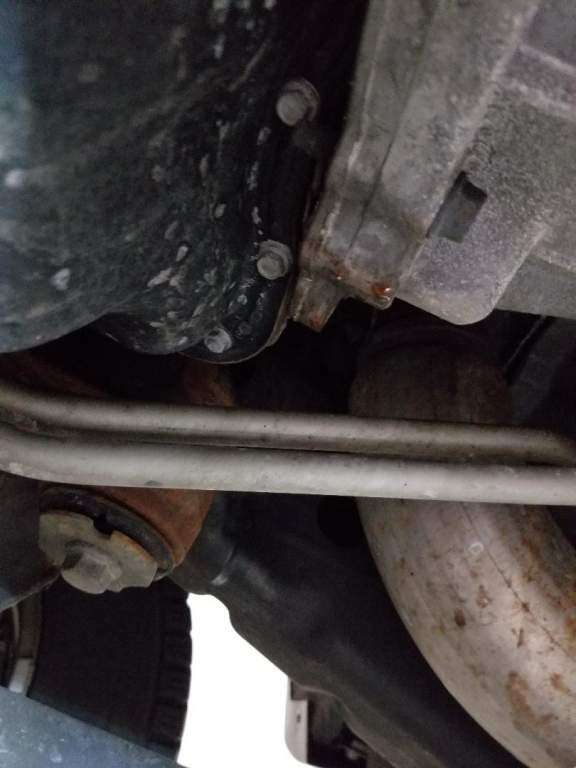 Maybe that is where it's leaking? Over a month, still at the dealer; got the leak fixed and discovered another up top (didn't elaborate). Then they called me and asked if my service four wheel drive light had ever been on, which it hadn't...fixed that too. Called again and asked if my batteries were dying, which they did back in November. I replaced them and haven't had an issue since. They're no claiming there's a parasitic draw that's causing the batteries to die and blamed it on a short in my plow controls. How would a short cause a parasitic draw, wouldn't a short blow the fuse? 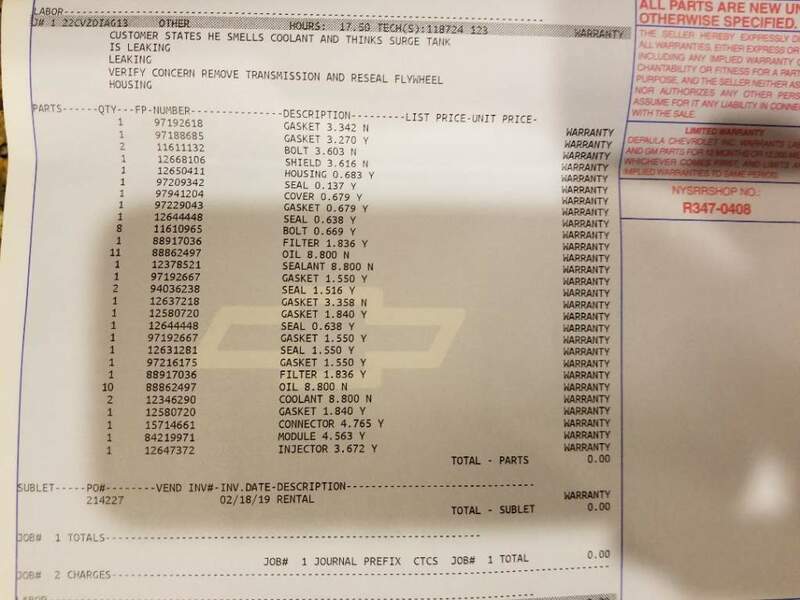 I'm thinking about reaching out to GM and requesting an extended warranty, seems like way too many problems for a '15 that I purchased new with 50k miles. My '02 was bullet proof with the exception of the injectors. Got my truck back a couple days ago, so far so good. Attached the list of parts replaced.